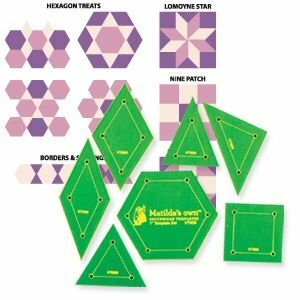 Quilting Templates by Matilda's Own Templates are designed in Australia and made in the USA. The are made of fluorescent green acrylic so you get an accurate cut every time and it does not get lost on your fabrics. Block instructions are included. quarter plus 15" x 1/2"